Often as teachers we have a terrific theme (Survival, Balance, Interdependence) or topic (Transportation, Inventions, Rain Forest), and plenty of awesome trade books with which to explore that theme or topic, but what we're missing is the "hands-on" component. Hands-on has become almost a buzz word that I dislike when simply slapped onto a math curriculum that might use manipulatives for one lesson each week. But what I mean here by hands-on is projects, experiments, activities, and explorations that use "stuff" to help students truly understand what they're learning. When I taught third grade, for example, high school students who returned to visit their old classroom didn't reminisce about worksheets, basal reader stories, or spelling quizzes. They instead fondly recalled when we created a working model of the Erie Canal lock system out of milk cartons, or a paper mache mountain to model the water cycle in the Appalachians, or when Mr. Schoch lit the classroom reading rug on fire trying to demonstrate how fire needed oxygen to burn. And that was just September! You might be saying to yourself, "Keith, I love ideas like that (with the possible exception of setting the rug on fire), but where can I find the time and the ideas to make that happen?" Nomad Press has the answer. I recently discovered this publisher while ferreting out free resources for teachers, and boy, I wish I had owned their books two decades ago when I started out in third grade! First of all, the books. 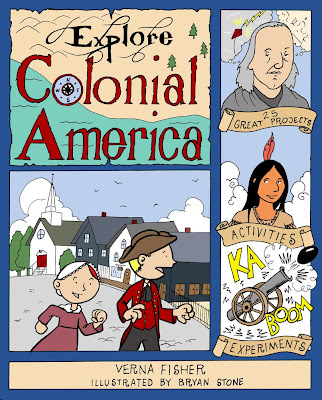 From their Explore series, Nomad shared with me their Explore Colonial America and Explore Transportation titles. Both contained the coolest projects, experiments, and activities! But the design of the books themselves is very smart. While both books would be helpful to the teacher, they're also are super kid friendly and readable on the elementary level. Both books contain text inserts featuring Words to Know (vocabulary, with easy-to-understand definitions), Guess What (cool facts, which some of my students would read in their entirety before reading the rest of the book), Then and Now (contrasting technology in past and present) and occasional fact boxes, containing relevant whos, whats, whys, and hows. The projects are explicitly titled (Make Your Own Water Compass) while the experiments present titles in the form of a question (What Floats? What Sinks? ), getting students into the practice of forming a hypothesis when exploring an unknown concept. (Explore Colonial America also includes "spotlights" on each of the thirteen colonies). If you want a better sense of what this looks like, Nomad provides free sample downloads of a project or experiment from each book at their site. The site itself is an exemplary resource for parents and teachers. In addition to book summaries and samples, you'll also find neat sidebar features including Latest News (cool facts from science and nature), This Day in History (great topics for discussion and writing), Word of the Day, and Did You Know? Overall, it's an extremely clean site which begs further exploration. Somewhere in that site, yes, they are selling books, but not at the expense of the user experience. This high-powered tour of ecological principles is chock full of information, activities, and science vocabulary. 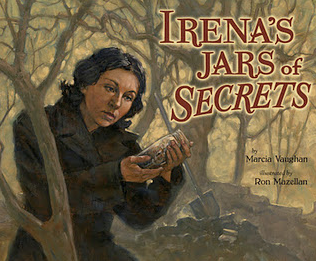 The indoor and outdoor activities connect kids to the science being discussed in each chapter. 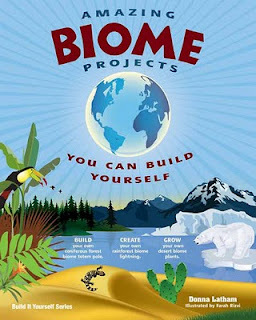 Science educators and parents will be thrilled with the amount of information the author has packed into Biomes. If you teach math, science, or social studies, I highly recommend Nomad Press. Give their site a look, try just one of their titles, and I think you'll be hooked! 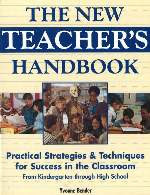 And also, whether you're a teaching novice or an old vet like me, be sure to check out their teacher titles, such as The New Teacher's Handbook: Practical Strategies and Techniques for Success in the Classroom from Kindergarten Through High School and The Power of Positive Teaching: 35 Successful Strategies for Active and Enthusiastic Classroom Participation. Perfect titles for those seeking professional development reading selections for their PLCs. teachwithpicturebooks.blogspot.com; You saved my day again.